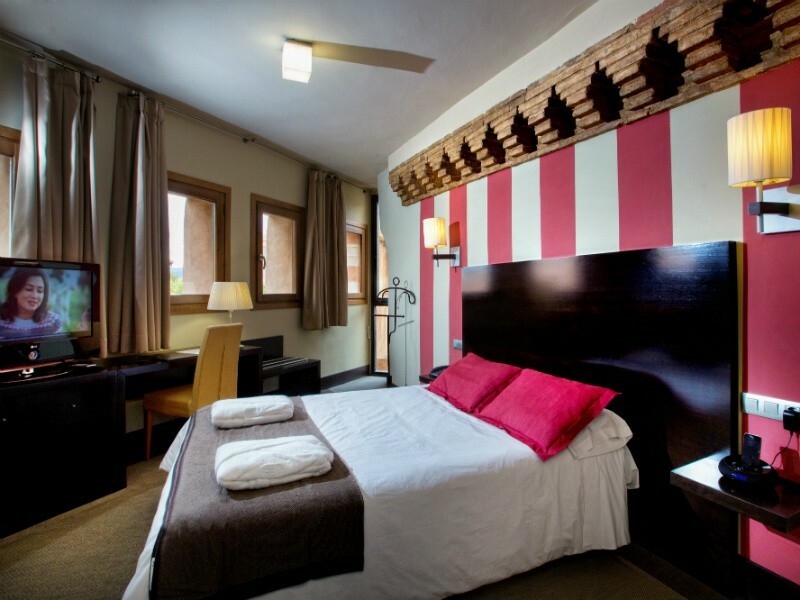 The Hotel Monasterio Benedictino has 35 comfortable, modern rooms. Each conserves an original architecture that creates a warm environment, with all the comforts of a 4-star hotel. The rooms have air-conditioning, heating, TV, telephone, minibar, telephone wake-up alarm service, hair dryer, safe deposit box, desk, iron and ironing board (on request). 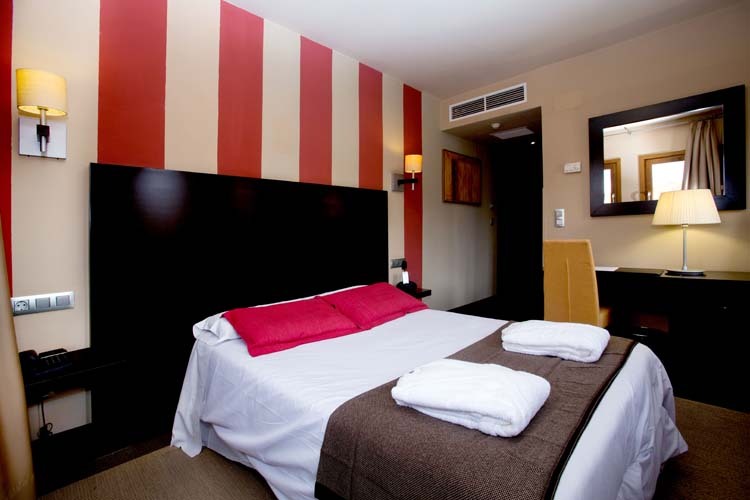 This establishment has rooms adapted for the handicapped and soundproofed rooms. To respect the structure of the original building, the corridors of the rooms open onto the Luz de Led Restaurant, providing a complete view of the building's interior. Room with two twin beds or one double bed. The decoration combines dark woods with a palette of beige and cream tones, creating spaces that are both modern and sophisticated. **For double or individual use. This is two communicating double rooms. They take 4 people. They have double beds.